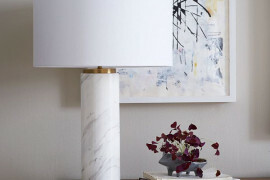 Marble tables are undeniably chic, but they’re often pricey. 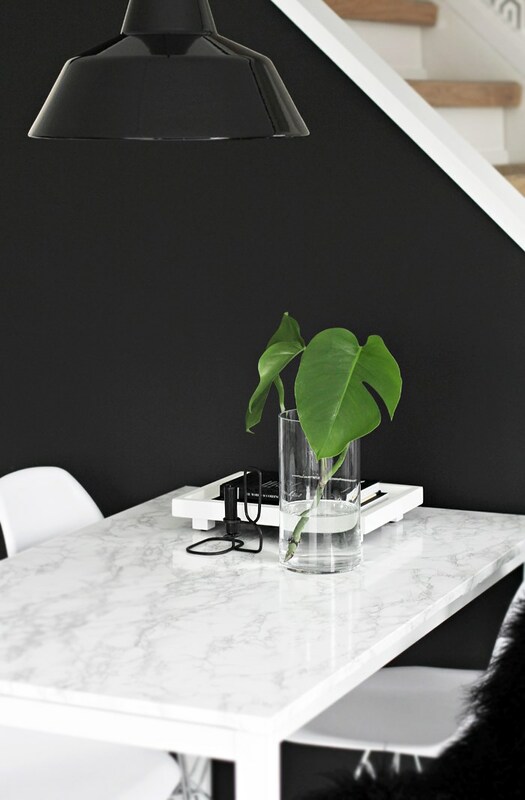 Did you know that you can create your own marble table on a budget with the help of some contact paper? 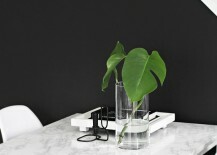 This DIY Marble Table from Stylizmo. 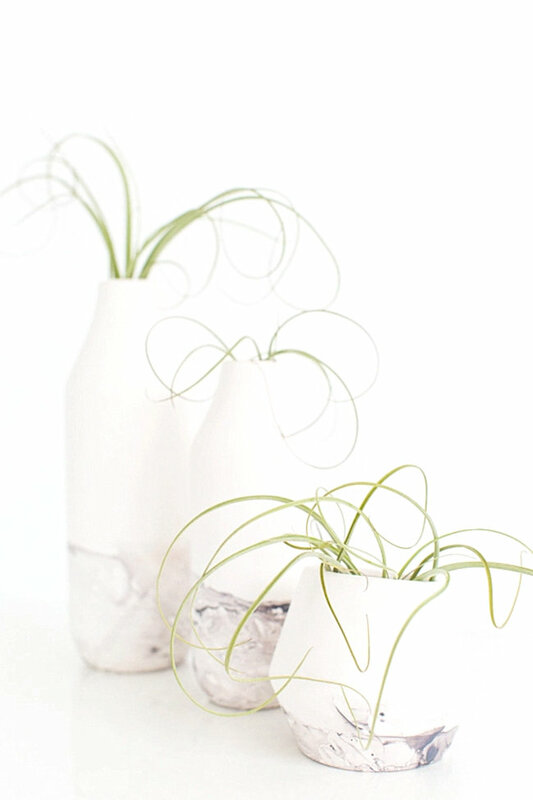 is a fun idea for adding an upscale look to your modern home. 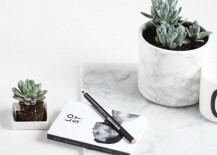 Not to mention, this strategy works well for side tables and coffee tables as well! 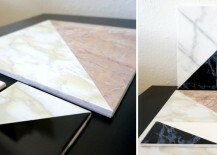 Inspired by gorgeous marble tiles previously sold at Darkroom, this Marble Tile Art from Mirror80 involves little more than a trip to the flooring store and a couple rolls of marble contact paper. 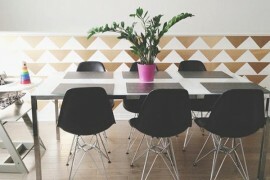 Diagonal lines rule in this rewarding project, and you can use floor tiles in interesting colors (such as pink and dark green) for a fun twist on marble style! 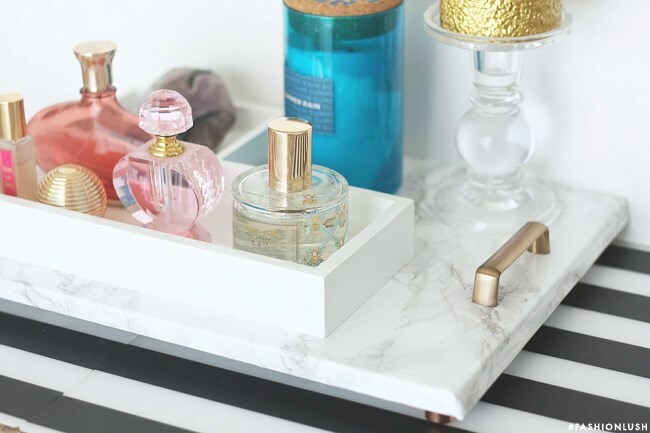 Marble trays featuring drawer pulls are a current DIY trend, and we’re loving the rose gold detailing on this DIY Faux Marble Perfume Tray from Fashionlush. 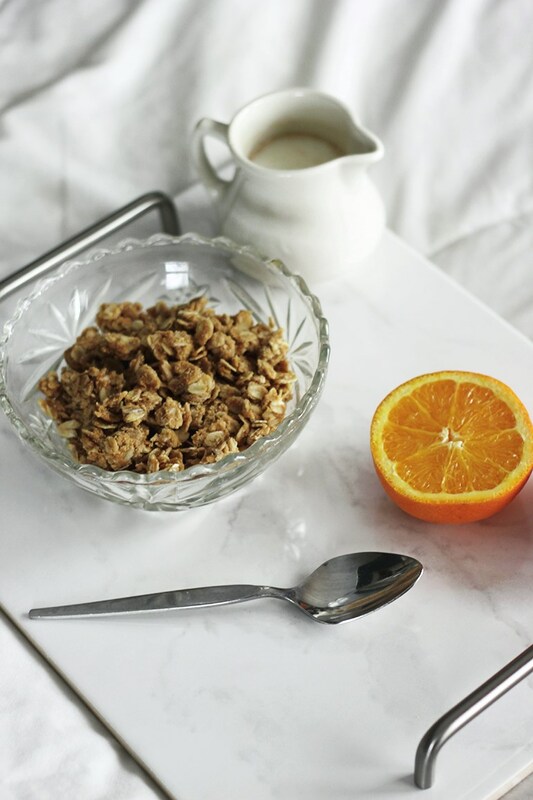 By starting with something a bit more lightweight than solid marble (hello wood cutting board) and covering it with marble contact paper, it’s possible to secure the drawer pulls to each end of the tray with strong glue. 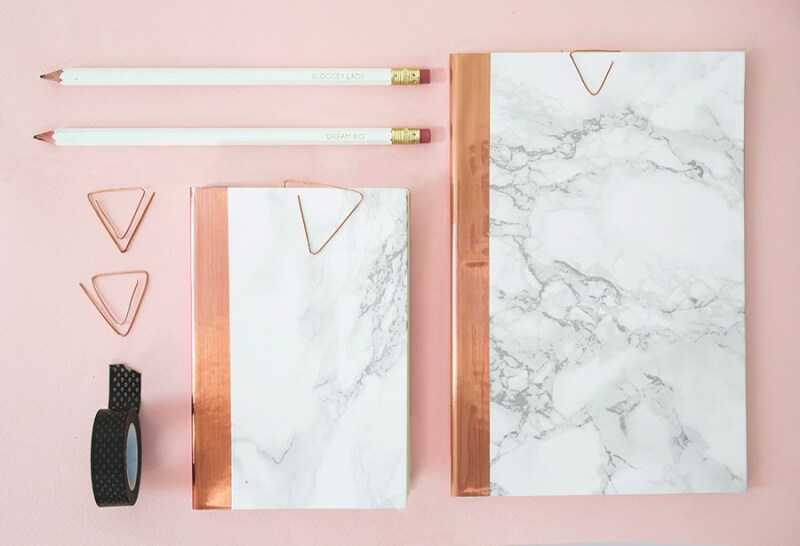 We’re also loving the addition of copper plugs to the bottom of the tray! If you’re going to be lifting your tray and carrying heavy items, you may want to consider using an adhesive other than glue. 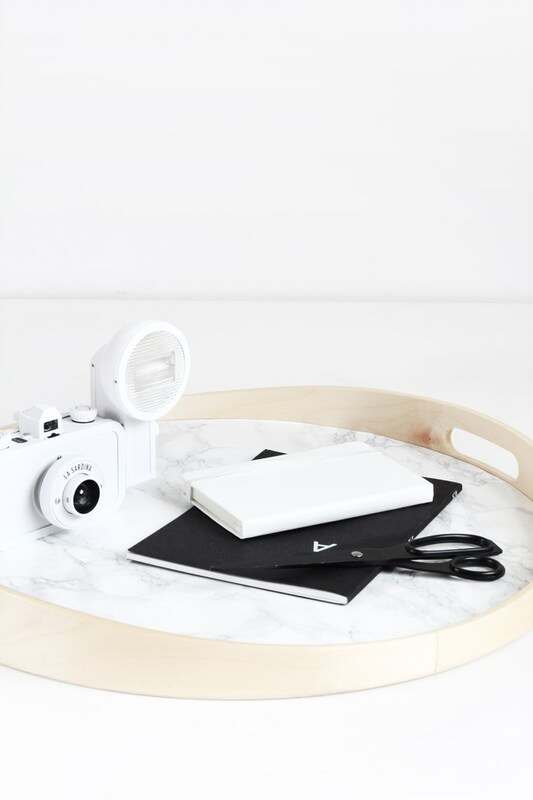 Which is why this DIY Marble Serving Tray from The Merrythought is so innovative! By using ceramic tile with a marble finish, it’s possible to drill into the tray with a glass/ceramic drill bit and secure those silver handles in place. 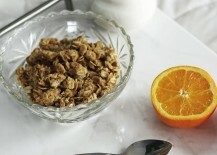 Make sure the tile/tray is food-safe if you’re going to be placing edibles directly on the surface. Otherwise, keep the food on the plate when you serve it up. 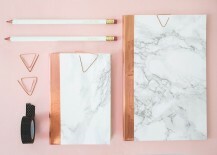 We now turn our attention to marble decor and accessories that make a big impact. 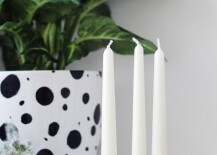 First up, these DIY Black Marbled Candle Holders from Fall for DIY. The ingredient of choice: oven-bake clay. The finished product is fabulous and modern. 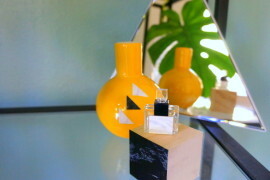 Plus, it’s refreshing to see a DIY project celebrating the look of black marble, don’t you think?! 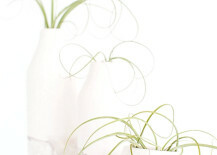 Head on over to Design Sponge for the full tutorial. 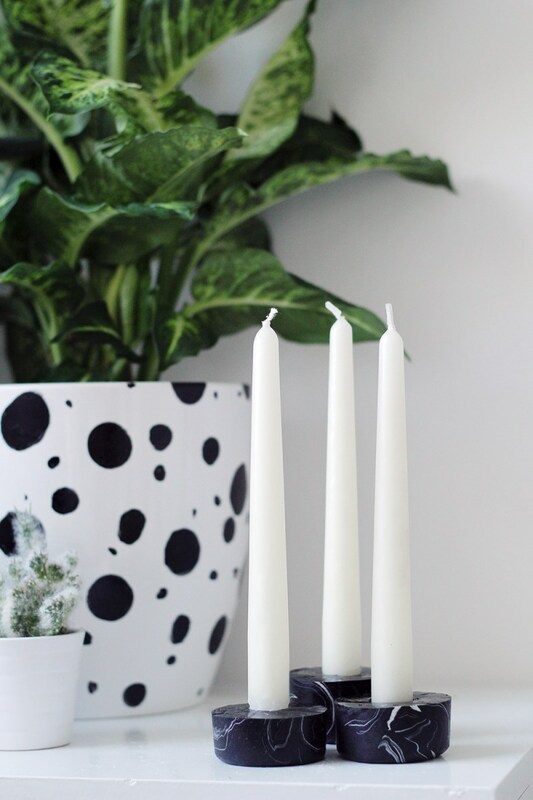 These DIY Marble-Dipped Vessels from Sugar & Cloth are created by dipping white ceramic vessels into gray and black nail polish floating in a bowl of water. 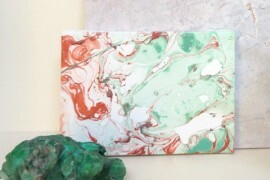 If you’ve never tried this marbling effect, it’s quite fun, but you have to work quickly. Don’t you love a design challenge?! 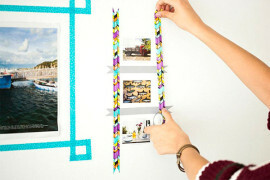 Yes, we’re featuring two DIY projects from MyDubio today. 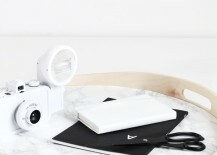 The DIY projects featured at this blog are so well designed, so easy to follow, and so beautifully photographed, we just can’t help ourselves! 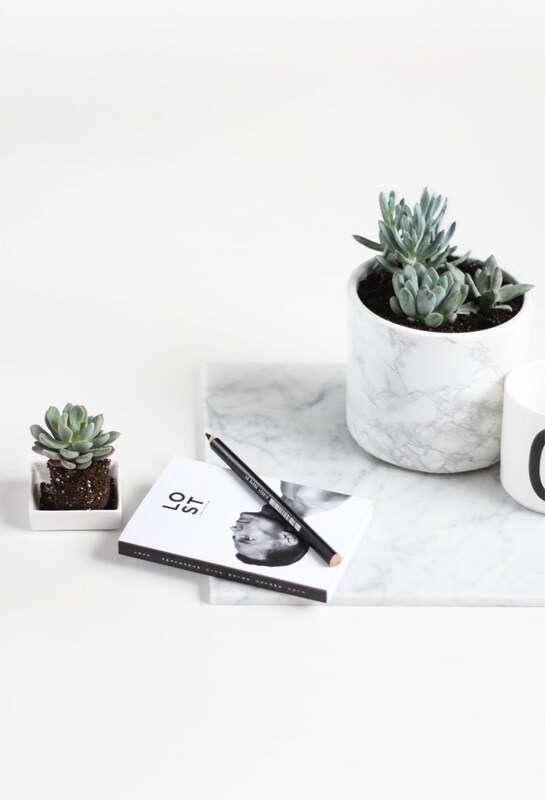 And if you’re a fan of marble, browse the entire DIY section, because many marble DIY projects can be found there. 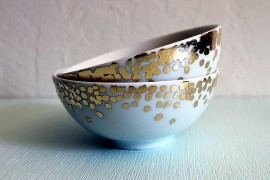 Like this DIY Marble Pot, which once again celebrates the wonder of contact paper! 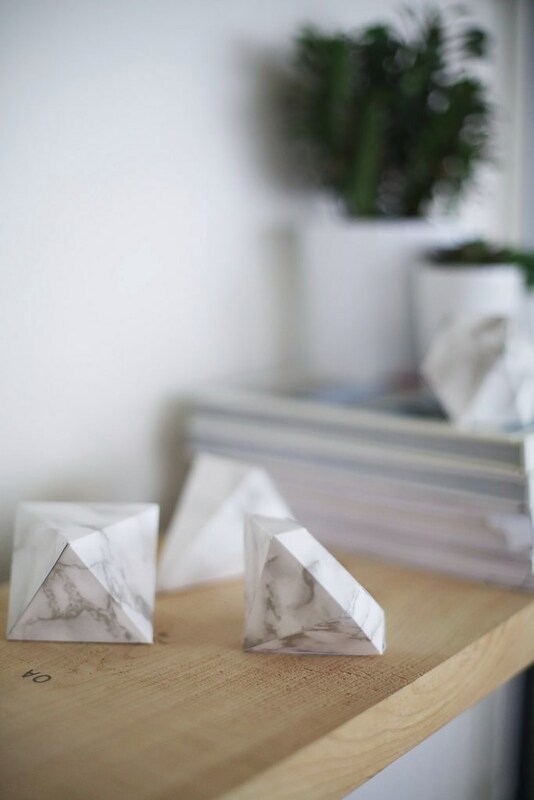 We end with these DIY Marble Gem Decorations from A Pair & a Spare. 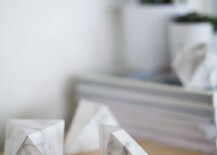 Print out the diamond template and watch as this project involving cardstock and marble contact paper comes to life. 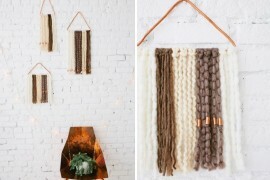 Display the gems on a shelf as shown below, or suspend them with the help of string.